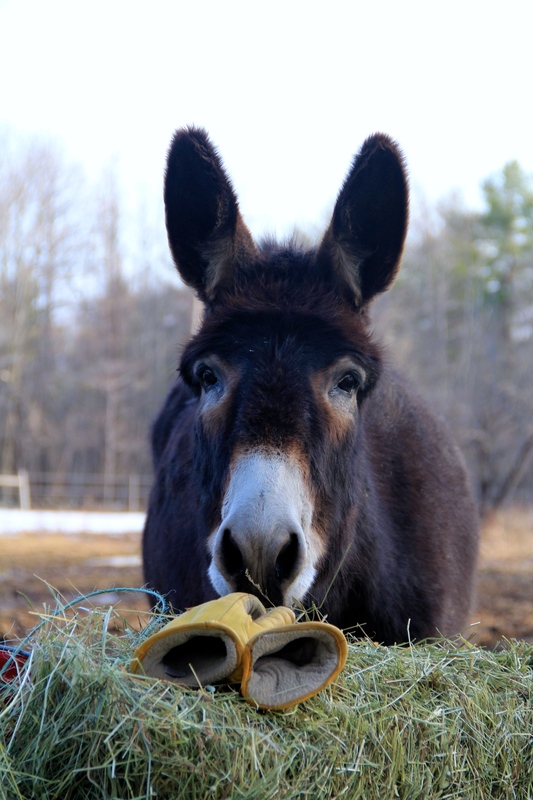 There are many benefits to owning and running a working Farm. Creating and maintaining the gardens are a lot of hard work, but they provide us with fresh vegetables and beautiful flowers, as well as the satisfaction of hard work well done. Hours of labor to put up fences around fields for the horses, and around yards for our dogs, have provided a safe and carefree habitat for those that we take care of, and great peace of mind for us. Other summertime projects like building stalls in the barn, planting fruit trees, never ending grass cutting, and putting in firewood for the long winter allow us to feel the sun on our faces and fill our lungs with fresh air every day. The winter months bring the joy of nesting in a 200 year old farm house that we have worked endless hours for years restoring to it’s former glory, with wood stoves providing our heat and the pantry full of summer bounty. There are downsides as well to being a farmer, and one of them is having to inevitably say goodbye to those whose company we have enjoyed for many years. While it is always especially sad to say farewell to one of the animals that have called the Farm home, I’ve never experienced grief when a vehicle has become aged and worn out, and has needed to be replaced. Until today, that is. The day that I brought her home 11 years ago, I named my truck Jezebel, in honor of my oldest brother who had passed away just a month prior, and who had a fondness for naming his vehicles Jezebel. 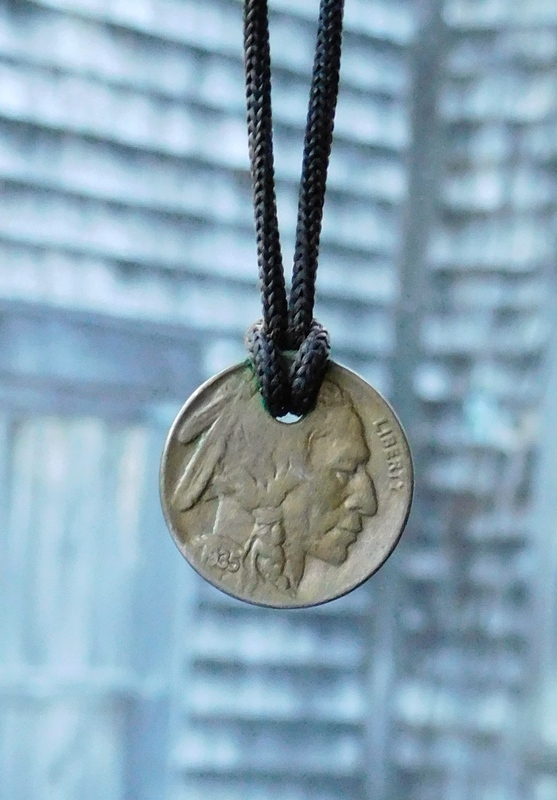 For every single day of those 11 years, a buffalo head nickel that he had worn around his neck hung from my rear view mirror, and each day when I saw it, I thought of him, and knew he would watch over me when I was driving. Kody, our old man Golden who left us last year, was just a few months old when Jezebel arrived, and he quickly claimed the back seat to stretch out on and sleep when we traveled north to a camp we owned near Sugarloaf Mountain. Two years later, a beautiful yellow lab puppy named Gracie joined our family, and Kody begrudgingly had to share the back seat with a little yellow terror that had decided that her new sibling shouldn’t have hair on his tail. We once rescued a goat that badly needed a new home, and the only way to transport her at the time was in Jezebel’s back seat. It took months and a lot of air freshener for the smell of a scared and incontinent goat to finally fade away. I never removed the dent left after Alex, my horse, decided to kick the truck when he was mad at me one day, preferring instead the smile it brought to my face every time I walked by it. Jezebel shuffled four dogs, seven cats and two parrots back and forth to vet appointments and emergency rooms, and more than once I had to scrub dog vomit from the seat and carpets. Some rides to the vet became heartbreak, last moments and goodbyes, and this truck became witness to some of my lowest moments. As the Farm grew, so did Jezebel’s duties. Fencing supplies, lumber for various projects, railroad ties for the gardens, hay and grain for the horses, feed and shavings for the chickens, and trees and shrubs for landscaping and harvest are just a handful of things brought to the Farm by her. She was the workhorse for every project at the Farm, inside and out, that we have accomplished during the 11 years she has been with us. She dutifully performed all we asked of her, but as she aged, the Farm became bigger than what she could handle, and so…the time had come. Although reluctant to say goodbye to Jezebel, I knew that I needed a more reliable and powerful truck to handle hay, wood and horse trailers, and for whatever a growing Farm might need in the future. When the right truck was found to fill her shoes, I was tasked with the final cleaning of Jezebel in preparation for her leaving. I knew there would be a bit of sadness involved, but I wasn’t prepared for what was to come. 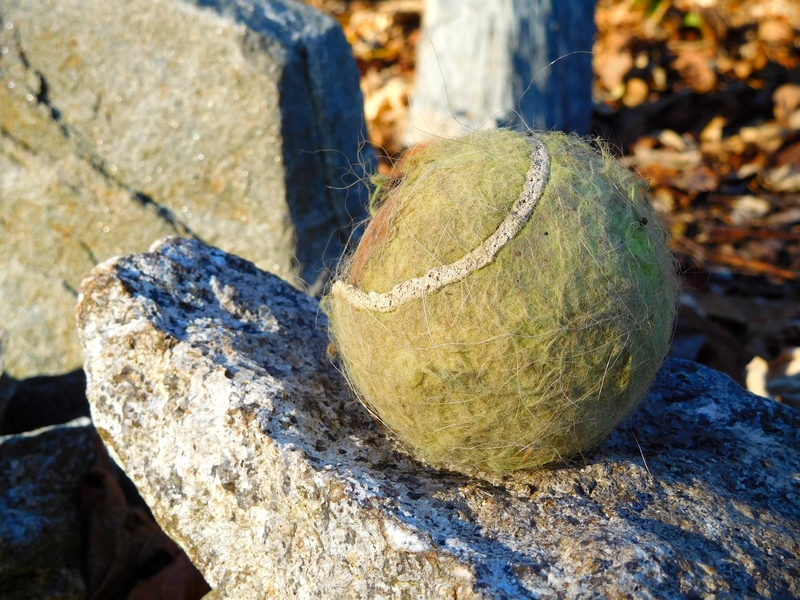 Behind the back seat, I found a chewed and faded tennis ball, and immediately recognized it as Kody’s favorite toy for many years until it disappeared one day. From there, a deluge of memories flooded my mind, and I could clearly see Kody and Gracie fighting over space in the back seat, with Kody winning every time. I remembered how the back windows were always wet with dog drool and nose prints, and the carpet of dog hair always left behind. I discovered music cd’s that were the soundtrack to many trips taken to as north as Quebec City and as far south as Atlanta, where a rebuilt engine for a Fiat 124 Spider joined us and occupied the back seat on the return trip home. That trip also saw me and the Man in the worst storm of our lives in North Carolina, with me driving as fast as I could in torrential wind and rain with a death grip on the wheel, and seeing tornadoes touching down behind us in Jezebel’s rear view mirror. From behind the driver’s side visor, I removed a picture that had been pinned there for many years of a friend that I had cared deeply for at the time, and who has just recently reentered my life. Change from toll booths and the local Dunkin Donuts drive thru filled various nooks and crannies, as well as crumpled up receipts, registrations and insurance cards from every year except 2009. One by one the memories flowed, and I took my time acknowledging each as I finished cleaning out my four wheeled companion of the past 11 years. Most were happy, a few were sad, I laughed a little, and I cried a lot.